Aesthetic laser therapy has come a long way in the past several decades. Fractional photothermolysis, or Fraxel treatments, provides far more precision and subtlety than many previous iterations of laser work. There are some parallels to acupuncture, in which creating micro-injury to a certain area can stimulate the body’s natural healing process. With Fraxel, microscopic beams of pixelated light are applied to the skin, generating thousands of focused zones of tissue injury. From there, the healing process begins: Older, damaged layers of skin are naturally exfoliated over time, and your body produces collagen to repair those areas. (Collagen is a natural protein found in skin, hair, nails, muscle fibers, tendons, and tissue; the body’s natural production of collagen tends to slow as we age.) One of the main benefits of Fraxel is the ability to treat only the targeted regions, and not affect the surrounding tissue. There are several caveats that could disqualify you from the procedure: If you have a predisposition to keloid formations; if you use systemic steroids like prednisone; if you have any fungal, viral, or bacterial infections; and if you are being treated for acne with isotretinoin. There are three types of Fraxel lasers, and you and your doctor should discuss which one is best suited for you. Each one will generally require more than one visit, with periods of recovery in between that have varying lengths. Fraxel Repair is a carbon dioxide laser. 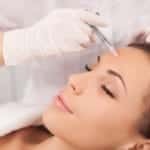 This is perhaps the most aggressive treatment for deep scars, sun damage, ingrained wrinkles, and loose skin, and the immediate damage it produces will require a more substantial recovery period. Fraxel Restore is an erbium, non-ablative laser, primarily used to target superficial issues in the skin, like toning and texture. This is less aggressive and has a quicker recovery period. Fraxel Dual splits the difference between the two; there are actually two lasers involved, one that targets surface pigmentation and one that goes deeper to work on lines. Many of the benefits of Fraxel can last for years. Fraxel can repair some of the damage to your skin from severe acne scars or surgical scars, but it may be necessary to have a regular follow-up procedure every few years, depending on the severity of the original condition. An average of 3 to 5 sessions, spaced 2 to 4 weeks apart, is to be expected. The same goes for pigmentation or wrinkles and fine lines. You’ll see better skin tone and texture, and it can help reduce the size of large pores and halt the growth of precancerous lesions. But there may be a need for repeat visits for those issues as well. Unfortunately, the aging process is impossible to stop, even with the evolution of laser technology. Fraxel is not a miracle procedure, but it does hold great promise for fixing some areas of your skin that cannot be addressed with creams, hydration, or diet. What will I look like afterward and what can I do to maintain the results? Depending on the depth of the treatment, your skin will range from pink to red on the day of the procedure. The best way to describe the sensation of Fraxel is ANNOYING, rather than painful. The evening after the treatment, your face will feel hot, but cool compresses will help a lot. It might feel like a bad sunburn. . 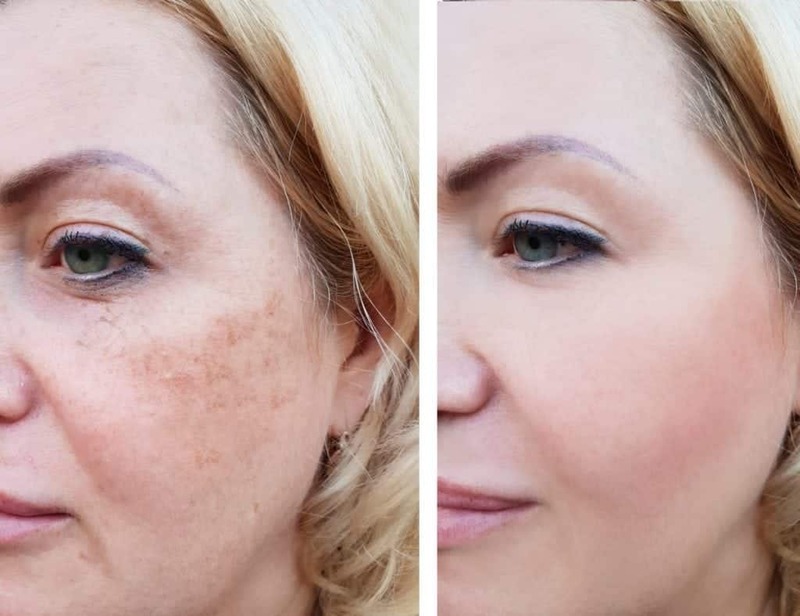 Within a few days, some patients will go from basic redness and slight swelling to a longer period of dots of pigmentation that gradually flake off over the course of about 5-6 days. All this is natural, and is part of the entire philosophy behind Fraxel — remember, the procedure is actually meant to damage your skin first, to generate the body’s healing response. If absolutely necessary, some lightweight makeup or a BB cream can be used while the healing is progressing, but it is preferable to simply use the prescribed ointments after treatment. Once healing is done, it’s important to stay out of the sun as much as possible in order to maintain the results. Your doctor will discuss appropriate sunscreens and creams designed to keep pigmentation at bay. Obviously, as with any laser procedure, the best results will occur in patients who are able to stick to the recommended post-laser regimen.